The world is full of strange and wonderful places, many of which are totally unique in their own special way. Sadly, things are changing. Whether you want to attribute it to greenhouse gases or natural changes in climate, there is no question the environment is changing and with that changes the landscape. Be sure to check out these great, yet fragile, destinations before they disappear. One of the natural wonders of the world, Australia’s Great Barrier Reef is a stunning, vibrant coral reef teeming with fish, dolphins, turtles and other marine life. Snorkelling and SCUBA around the reef are major tourist attractions and about 2 million visitors come each year to admire the natural beauty of the reef. As the world’s largest structure made from living organisms, the Great Barrier Reef can die off just as any living thing can. Major threats to the reef include pollution from farm run-off, climate change resulting in coral bleaching, and overfishing which alters the balance of the eco-system. 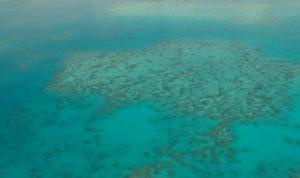 The number of different factors that threaten the Great Barrier Reef makes conservation efforts especially difficult. 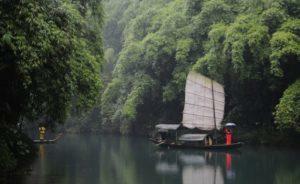 The Three Gorges are a popular destination for domestic and international travellers in China. A scenic waterway, where the Yangtze River carves a path through dramatic cliffs, the gorges attract thousands of tourists each year who admire the scene on boat tours or hikes. Completed in 2008, the Three Gorges Dam spans the Yangtze River near the town of Sandouping. Since its construction, the river has been steadily rising, displacing thousands of people, flooded important cultural and archaeological sites and resulted in deforestation and erosion. Glaciers are large, persisting bodies of ice that move slowly across land masses. There are a number of ancient glaciers you can visit around the world, and an encounter one of these prehistoric mammoths is an awe-inspiring and unique experience. 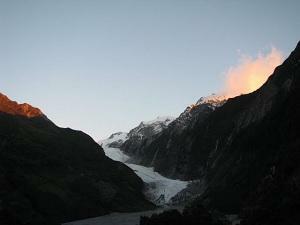 Franz Josef and Fox Glaciers in New Zealand are some of the most accessible and popular glaciers in the world. Book into some nearby Franz Josef Glacier accommodation and it’s only a short drive from your hotel room to the foot of a massive glacier. As ancient and imposing as they are, glaciers around the world are receding. Due to rising temperatures worldwide, glaciers have begun to melt and break. Experts predict that, based on current trends, Franz Josef Glacier will lose about 38% of its mass by 2100. 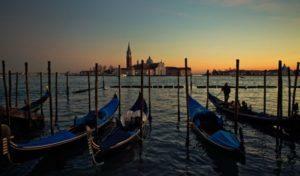 The city of Venice is famous for its romantic canals, classic architecture and artistic heritage. The charming city is hugely popular on the international tourist circuit, with an estimated 50,000 tourist arrivals per day. If you aren’t one of the millions of people who have visited Venice, be sure to bump it to the top of your list because Venice may be sinking. Floods in the city are becoming more and more regular, and assuming oceans continue to rise, the trend looks like it may continue. The article “4 places to see before they disappear” was written exclusively for Hotels-Fairy.com by Whitney Cox. Whitney is a blogger based in Christchurch, New Zealand. She often writes about tourism in New Zealand on behalf of several operators including a rainforest retreat Franz Josef and a West Coast lodge.